WELCOME BACK TROOPERS! It is time to kick off Summer with the Lumber Society. Owls, Raccoons, Mallards, and Beavers, assemble! This month we will be decorating birdhouses, with wood burning, paint, etching, and stain. The troop with the best design, wins a free party! 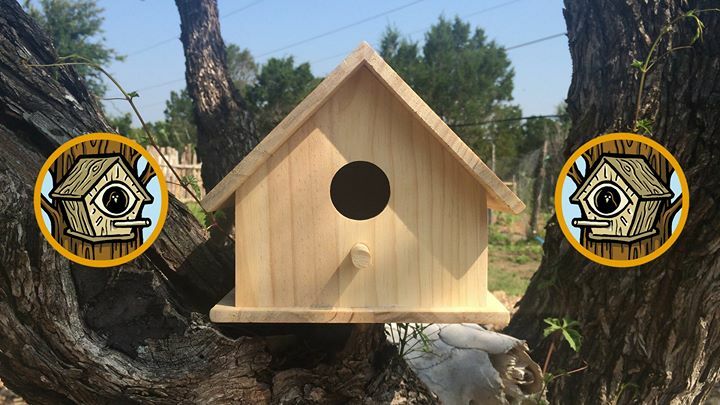 It’s important to get these homes out into the world to help our avarian friends, and promote biodiversity within the Central Texas region. Make sure to bring your troop hankerchief to receive discounts on beer. And first-timers can sign up for Lumber Society, free of charge, prior to the event.